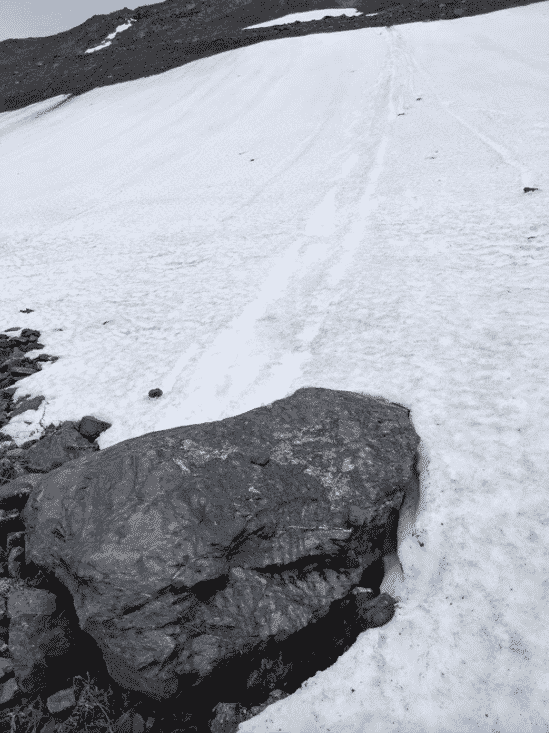 Sustaining an injury while on a hiking trip can be nearly fatal. 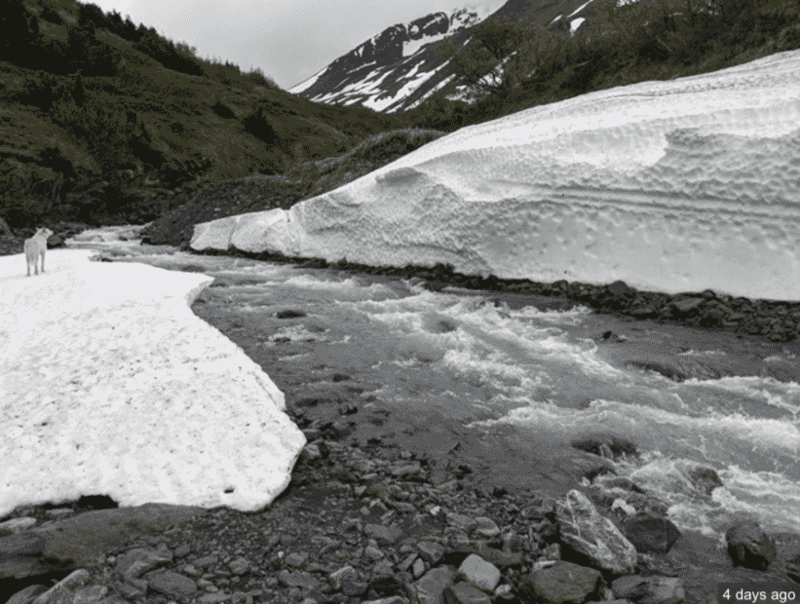 That was the situation that one hiker found herself in while making her way through Alaska. The young hiker tumbled down and couldn’t get back up. 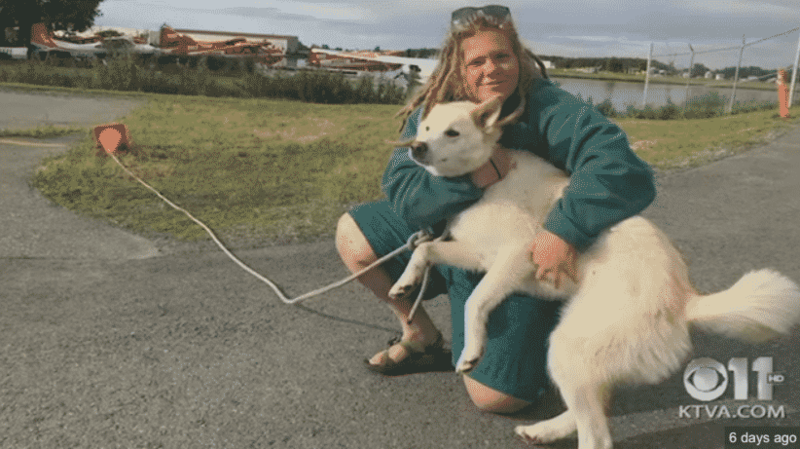 Then one husky showed up on the scene and rescued her in the most amazing way! 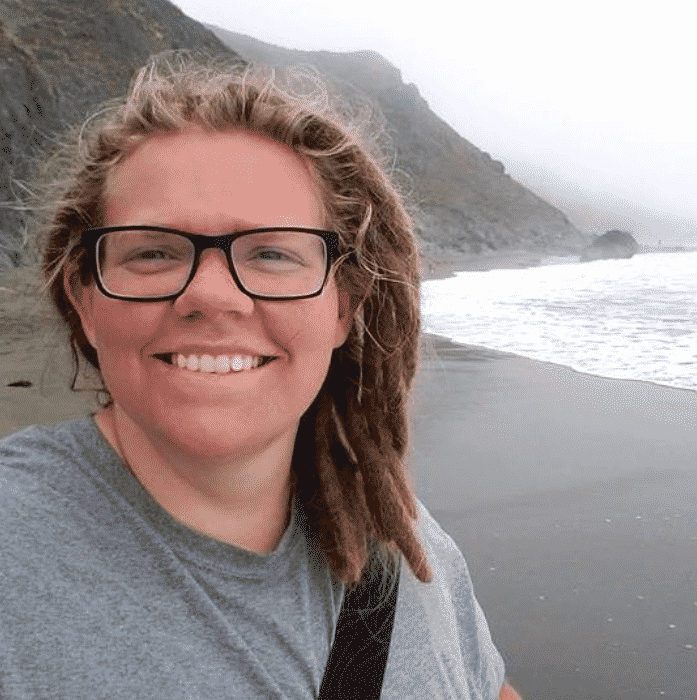 Amelia Milling is a deaf 21-year-old visual media student at the Rochester Institute of Technology in New York. 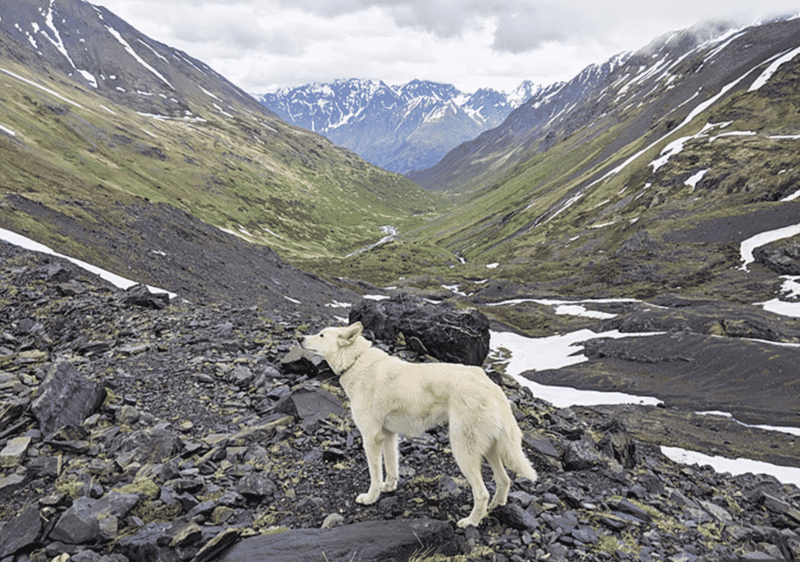 Recently, she decided to embark on a solo hiking trip through Crow Pass National Historic Trail in Anchorage, Alaska. From that point on, things could have gone pretty badly for young Amelia. That was until a miracle in the form of a husky dog named Nanook arrived. Nanook seemed to know exactly what to do! 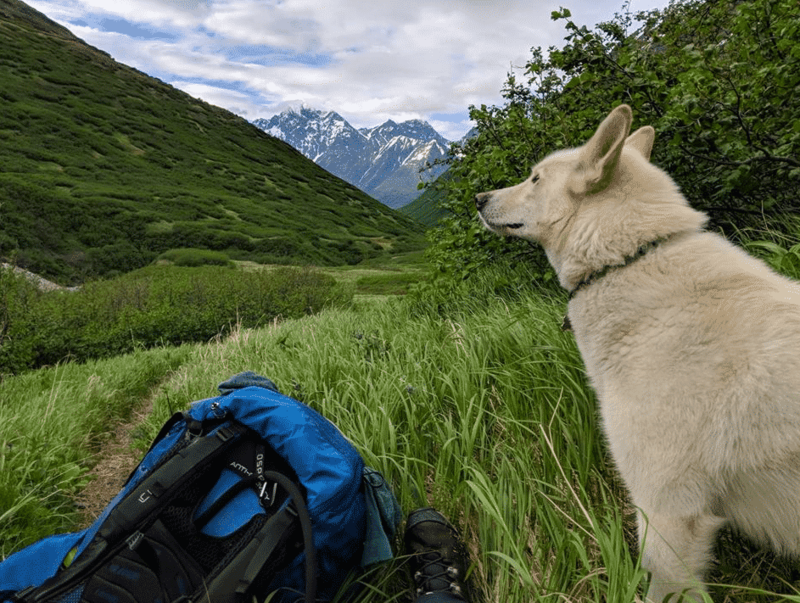 Amelia had met Nanook the day before and the husky had decided to accompany her on her hiking trip. 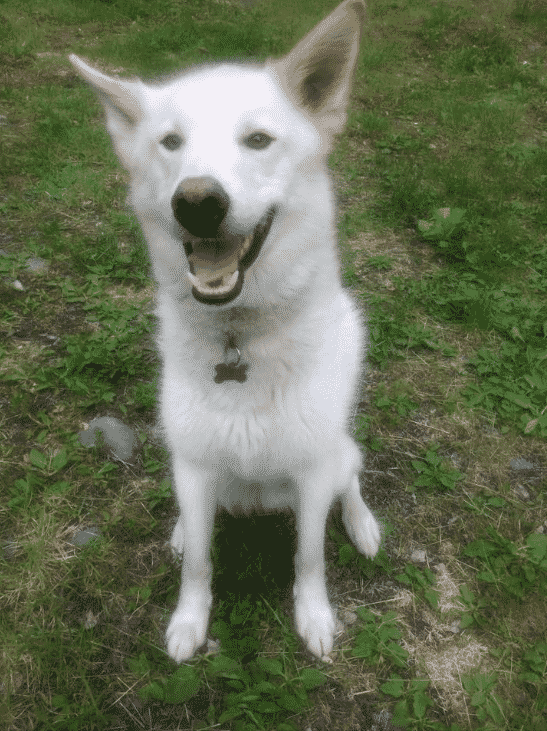 As soon as Nanook saw Amelia fall he ran over to her and didn’t hesitate to help. So what did he do?! As soon as Nanook saw that Amelia couldn’t get up he ran over to her and began to help. He grabbed a hold of Amelia by her backpack straps and began to pull her out of the freezing river. He eventually managed to get her onto dry ground and away from the 13-degree water. 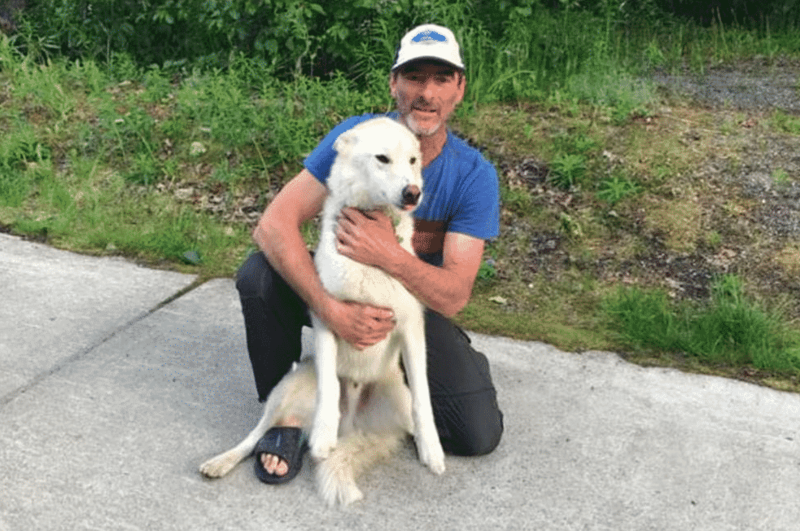 “She slipped and fell, and the dog was able to save her and get her back to shore,” Lt. Eric Olsen of the Alaska State Troopers told ADN. 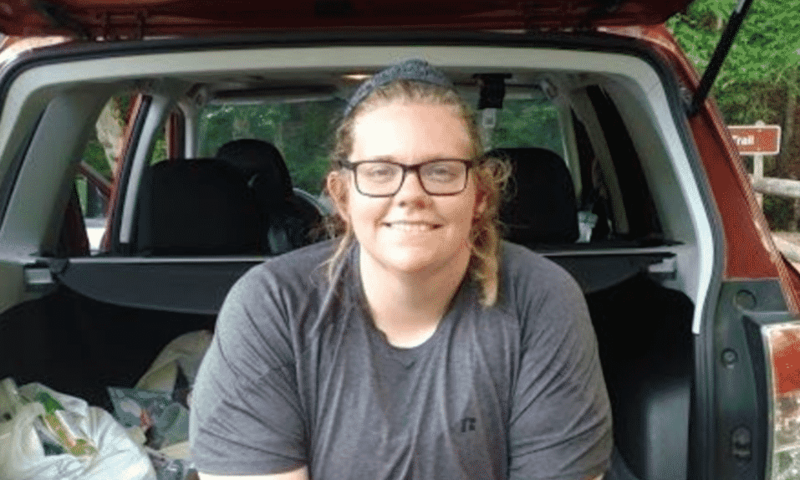 Soon after the rescue, state troopers received a stress signal from an emergency locator beacon when she was displaying signs of hypothermia. Nanook stayed there to keep her company, licking her face and making sure she was awake. State troopers sent help in the form of a helicopter. 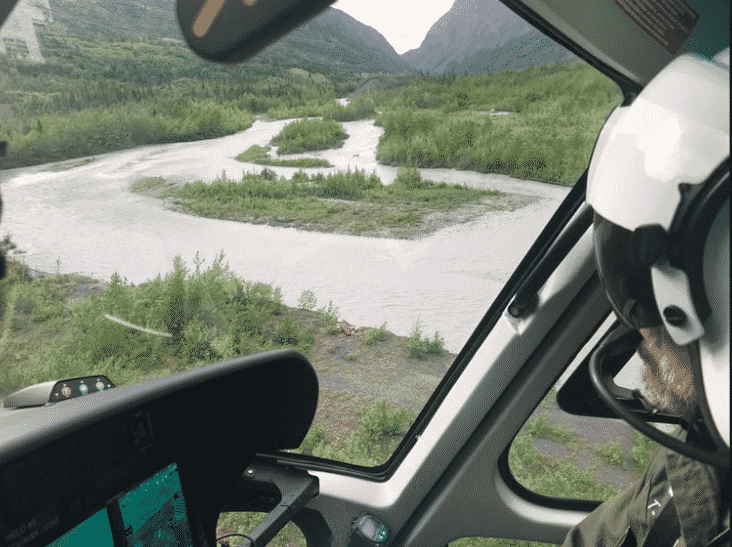 The lieutenant and pilot Tab Burnett set off to locate Amelia and soon found her and Nanook together. They were sitting peacefully off the riverbank. 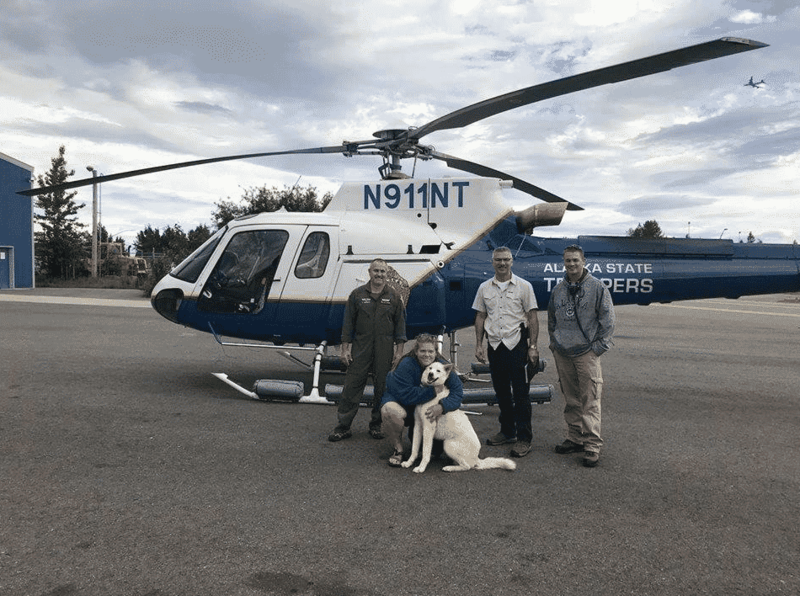 Amelia and Nanook were then airlifted out of the area and brought back to a safer place. The two state troopers were incredibly impressed by Nanook and his heroic ways! So would Amelia be okay? 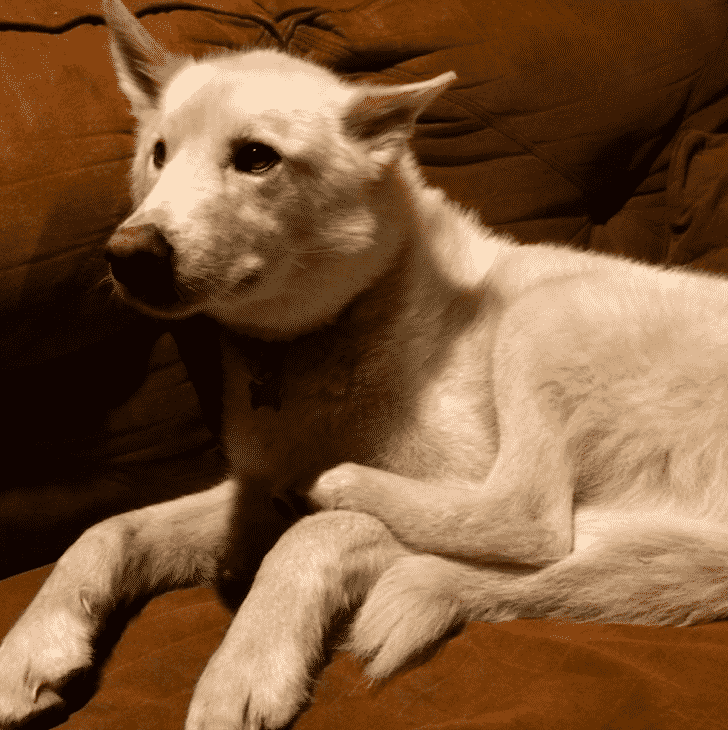 Luckily, thanks to Nanook’s quick rescue, Amelia didn’t sustain any serious injuries. She was quickly treated for some minor bumps and bruises. Her condition improved quickly. 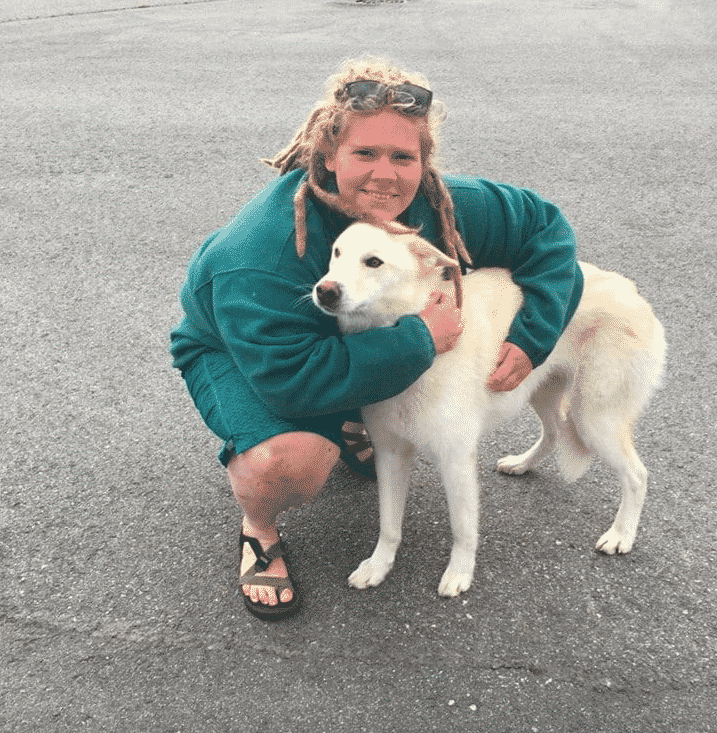 So how did Amelia and Nanook meet?! 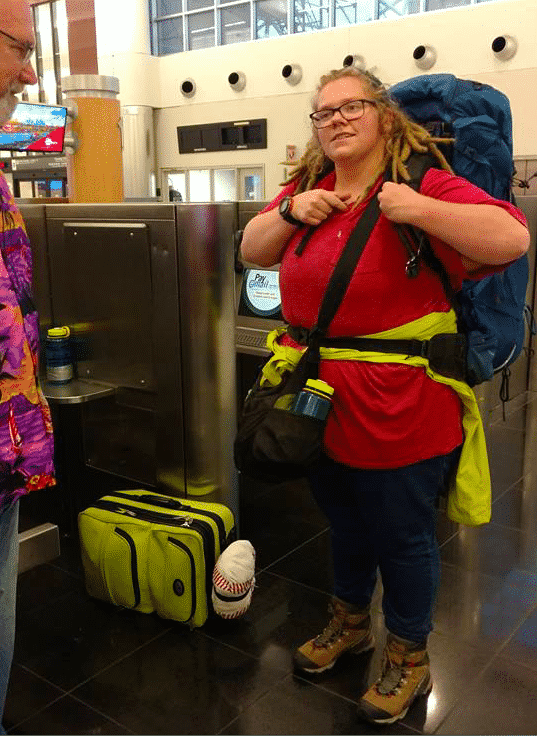 Amelia originally intended to take on a three-day trip but was surprised by how much snow was on the ground. 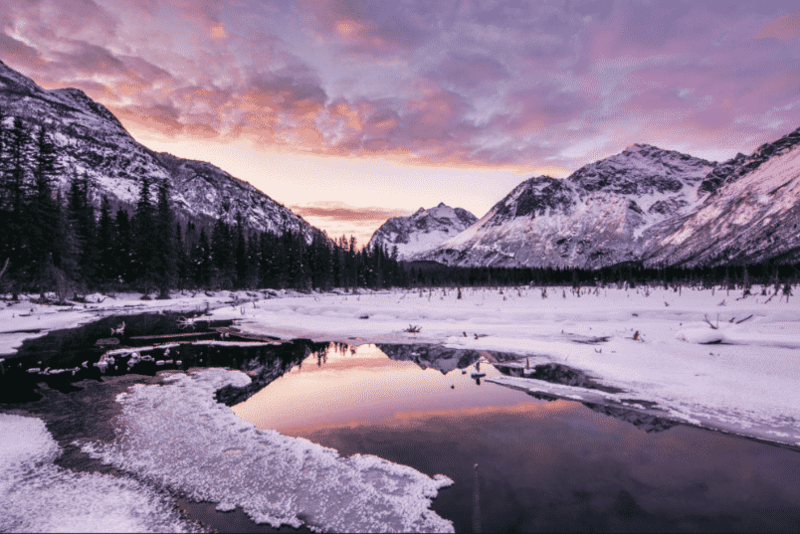 She had already taken a bit of a fall a day earlier when she was trekking into the Eagle River Valley. On her first day, Amelia managed to lose both of her trekking poles. “I’m a Southerner, so I wasn’t thinking about snow,” Amelia mentioned. 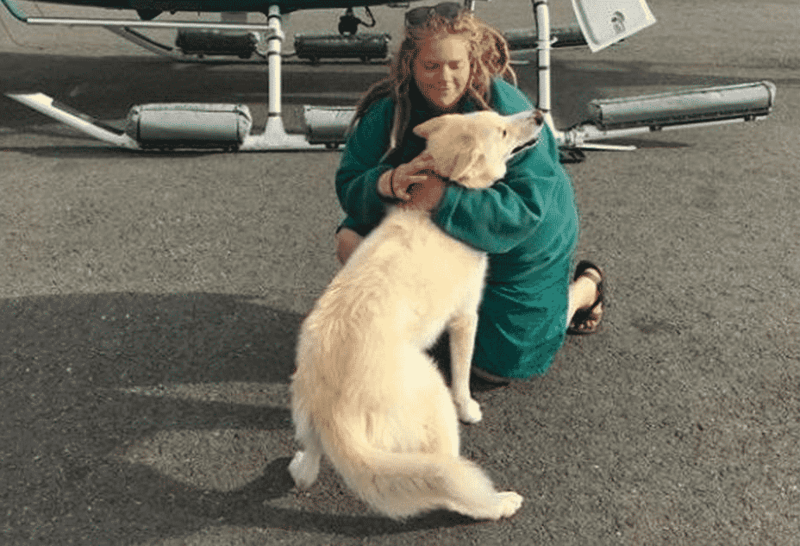 “I felt like I was flying.” It was during this first fall that she met Nanook. 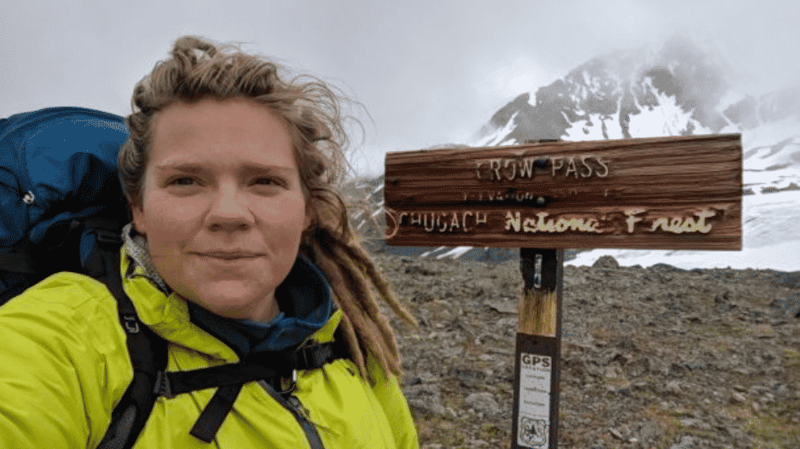 When she made her first fall of the trip, she landed about 300 feet down but was all right thanks to the snow on the ground. That’s when Nanook first noticed her and came over to make sure that she was doing okay. Nanook remained a loyal companion throughout the remainder of the trip. 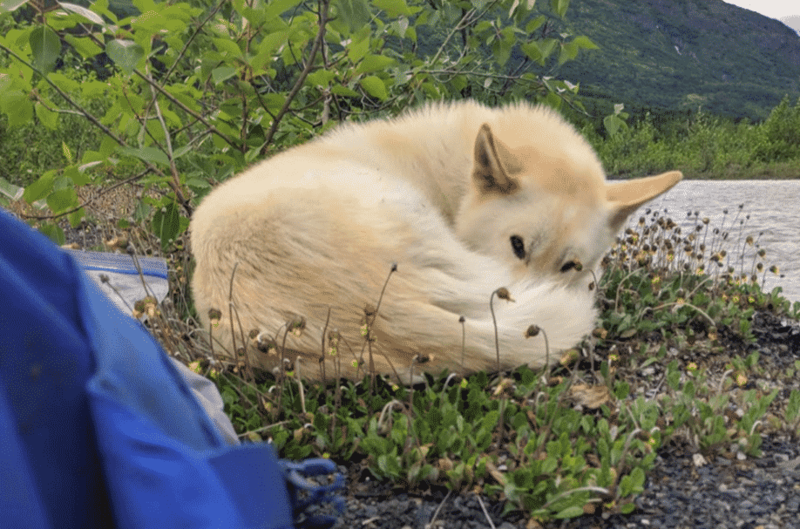 When Amelia headed into her tent for the night, Nanook waited patiently outside until she woke back up. That’s why he was around when she made her bigger fall. Once Amelia had been pulled out of the water, she immediately covered herself up in her sleeping bag to keep warm. Nanook still stood by her side as they waited for the troopers to come. He even licked her face in an attempt to keep her warm. When the troopers finally spoke to Amelia they realized that the dog didn’t belong to her but instead to Scott Swift. 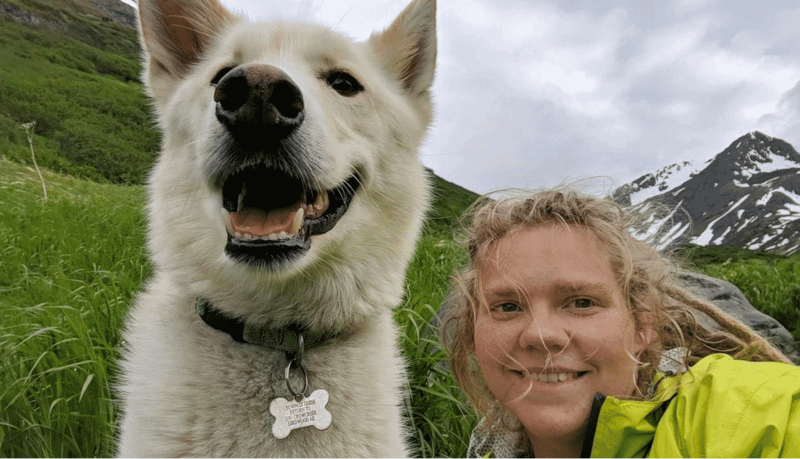 Swift said that Nanook loves to go out hiking with people and has been accompanying them for years. 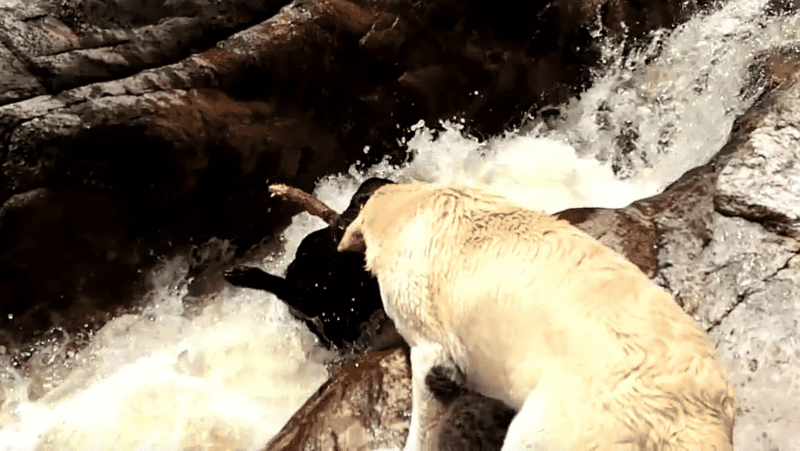 In fact, this isn’t the first time Nanook has saved someone from danger during a hike. “This is the second time I’ve heard he has saved someone from drowning in that river,” Scott explained.